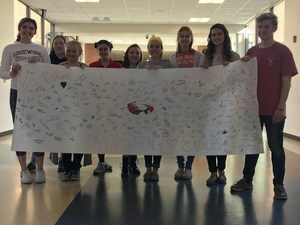 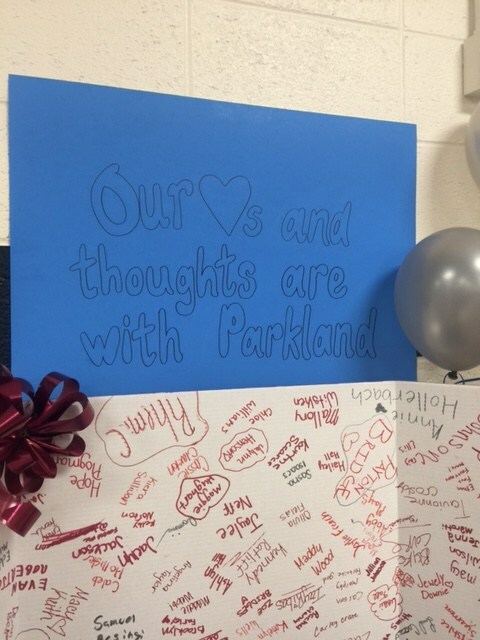 Edgewood High School and Middle School students showed their sympathy and support to the Marjory Stoneman Douglas students on March 14 by participating in a Florida Unity Day. 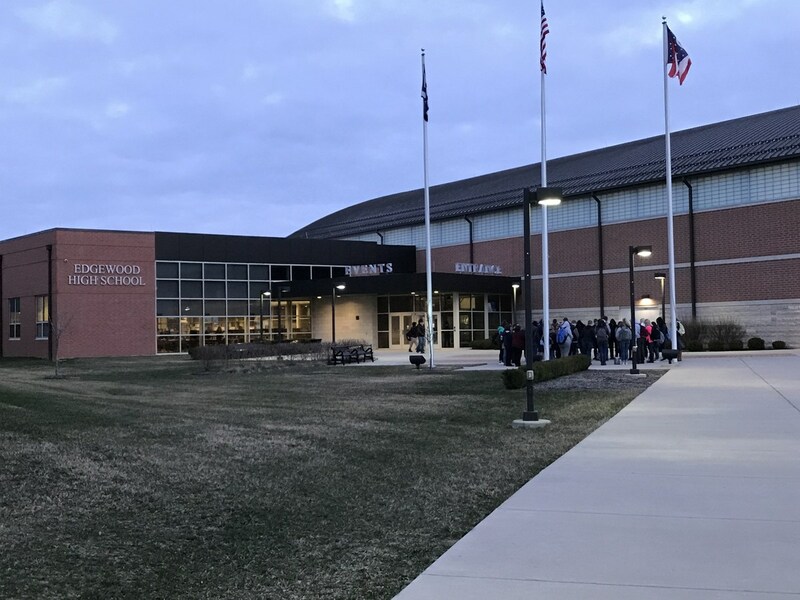 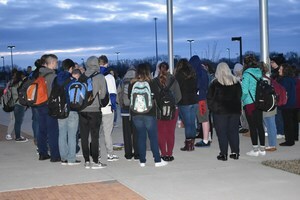 Those students and staff members who were killed on February 14 were remembered by our students by observing a moment of silence and wearing their school colors. 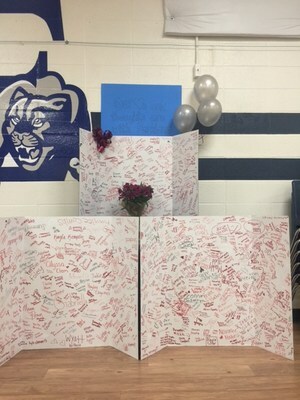 Cards and a banner were provided to allow anyone the opportunity to express their sympathy and words of comfort. 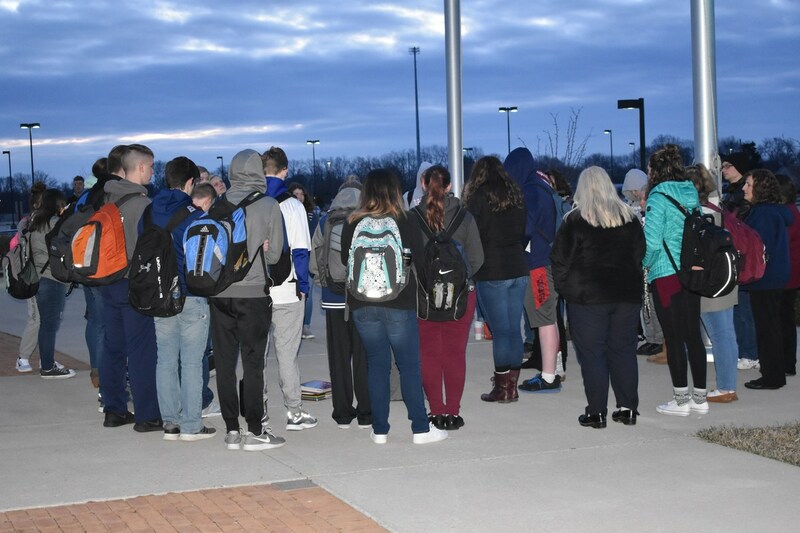 The Edgewood FCA hosted a gathering, prior to the start of school, for anyone who wanted to share their prayers of support for those impacted by the tragedy in Parkland, Florida.